Camacho reminds us why they’re the bold standard in the world of premium cigars - bringing smokers from 0 to 60 with a powerhouse blend inspired by the power and muscle of the classic V-twin engine! Ask any gear head and they’ll tell you, power band refers to the range between peak torque and peak horsepower, i.e. the “sweet spot” - when you’re running at max efficiency. This is the idea behind Camacho Powerband - offering a thrilling and full-throttled smoking experience from start to finish. How do they accomplish this? A proprietary bunching process dubbed Powerband™, which allows for a substantial blend of premium tobaccos, while retaining an effortless draw. This complex blend stems from 5 countries, offering a bold and fiery smoking experience, without compromising on balance and complexity. 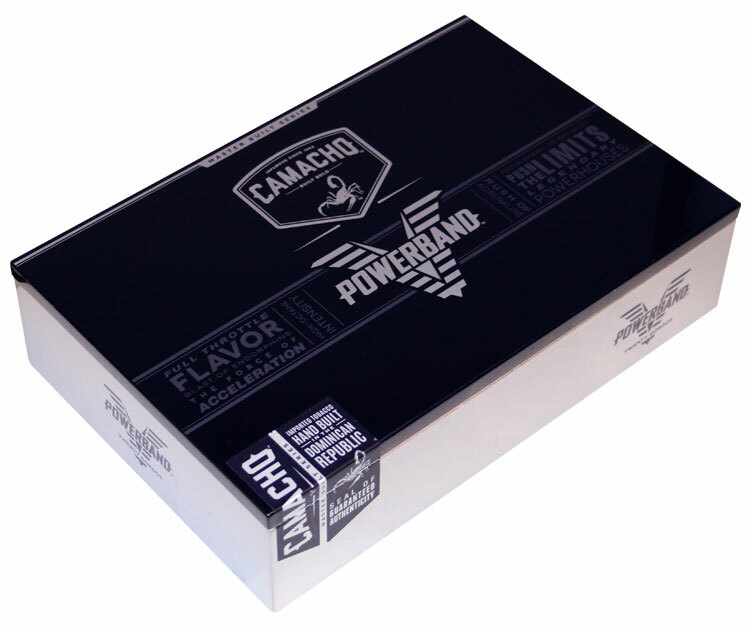 As the second cigar in Camacho’s innovative Master Built Series, Powerband manages to capture an adrenaline-fueled experience - showcasing bold flavors of chili pepper, roasted nuts, and complex spice - balanced with just the right amount of sweetness. Complexity meets power for this thrilling, new experience from Camacho!